I first heard Aaron Jonah Lewis at Grey Fox 2013. His fiddle solos were extraordinary and his stage presence and demeanor drew my attention. Almost two years later we received a request for Aaron’s current band “The Corn Potato String Band” to play at Chestnut House Concerts. I did not need to scope out their webpage, listen to audio tracks or watch them on YouTube before agreeing to have the Corn Potatoes for a house concert. Any band with Aaron on fiddle is welcome here. Not knowing much about the Corn Potatoes I held a brief conversation with Aaron by phone to ask a few questions so that you, potential audience members, could learn more about this band that plays traditional fiddle and banjo music. Ben and Aaron met a long time ago when they played in a band together, and more recently, Aaron met Lindsay at Clifftop. He brought the two of them together as “the ears and eyes of America”. The band plays mostly traditional music with 1 or 2 originals in the mix. They have two albums- The Corn Potato String Band was released in 2014 and The Corn Potato String Band,Volume 2 in January 2015. Both albums were recorded live with no overdubs; Ben did the artwork for both covers. Lindsay, Ben and Aaron each play multiple instruments which allows from some double fiddle and banjo tunes. Bringing new songs to the group and determining who plays which instrument seems to be an organic process and the gravitation towards a particular instrument just happens naturally. Having 3 multi-instrumentalists in the group does lend itself to quite a variety of band configurations. The enjoyment of life on the road for Aaron comes from visiting old friends and meeting new people. He keeps focused on the music and the audience and keeps a positive mindset. The Corn Potatoes are pretty easy going and one advantage of the house concert venue is that the band has an opportunity to meet the audience. I asked Aaron which musician, (dead or alive), would he have liked to hear perform? His response was Nicolò Paganini, Italian violinist and composer – con sidered by many as the greatest of all time. Paganini would sometimes tune one of his strings a semitone high for a performance, and once he played the majority of a piece on one string after breaking the other three. Paganini enjoyed using techniques that included harmonics, double stops, or near impossible fingerings. It is reported that Paganini’s performances would awe the audience and could move people to tears. 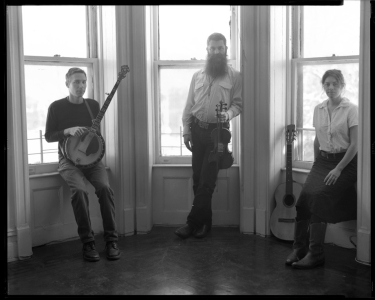 After speaking with Aaron and listening to The Corn Potato String Band’s music online, I believe that the Chestnut House Concert audience also will be in awe for this band is full of energy, talent, good stories and laughter. They play at 7:00 p.m. on Saturday, March 28, 2015. Potluck precedes the show at 6:00 p.m. To RSVP contact Tim at tlehman9@gmail.com or call/text 717-940-9311. 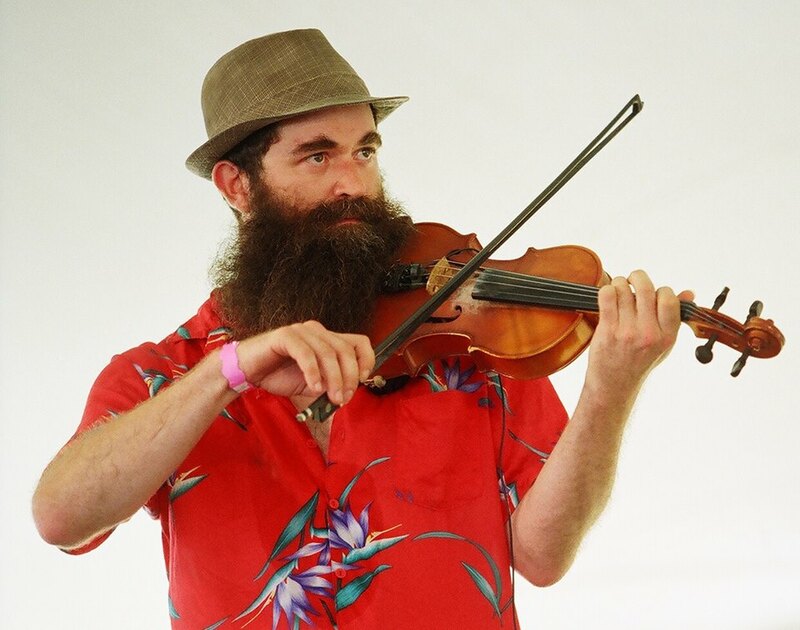 This entry was posted in For Your Information, Upcoming House Concert and tagged Aaron Jonah Lewis, banjo, Ben Belcher, fiddle, Grey Fox, guitar, Lindsay McCaw, Nicolo Paganini, The Corn Potato String Band by chestnuthouseconcerts. Bookmark the permalink. Paganini, eh? Hot fiddler for sure, but a little know factoid about Paganini is that his favorite instrument was the guitar.